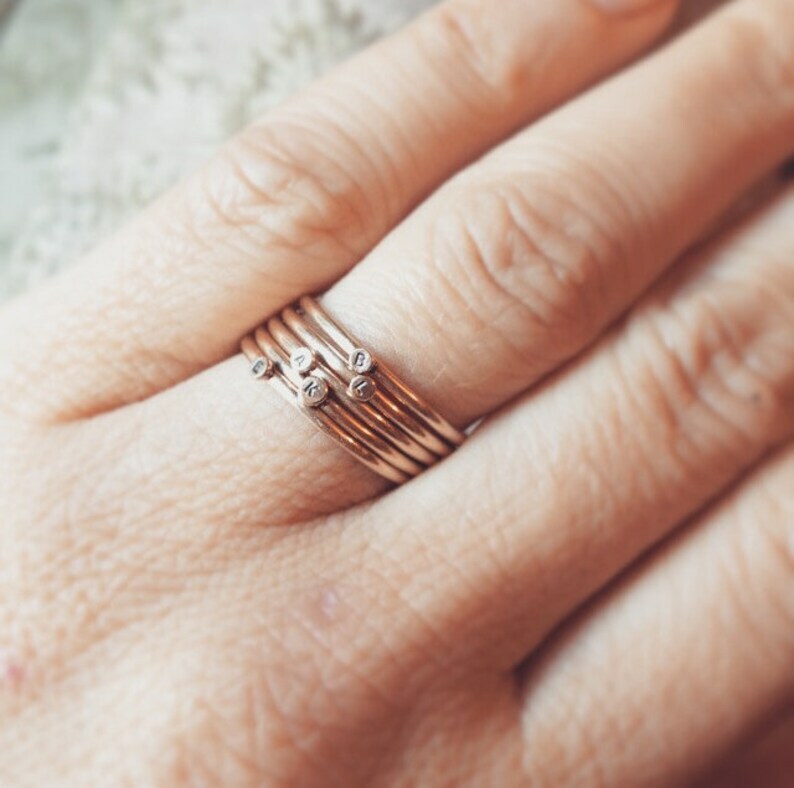 These little dot stackers are a wonderful memento, they are thin enough (16g) to stack several together and dainty worn alone. This listing is for ONE ring, you pick how many rings you want to stack! One letter or number is stamped on a disk of recycled gold from my snip stash. Sterling silver version shown in the second photo. Each ring is hand made by me in my San Diego studio. Please afford me time to create package and ship your purchase. Gold is ordered at time of purchase so please allow 2-3 weeks for processing your custom gold order. If you need your item rushed, please convo me for rush pricing.